Check out Tobi's Motivate Me Maxi Dress This curved dress has the scoop. The t-shirt dress gets an edgy upgrade with the Olive Motivate Me Maxi Dress. This high low maxi dress has a deep scoop neckline to casually reveal a glimpse of bralette, with a curved hem and cap sleeves. We love this trendy maxi with chunky booties for casual nights out. This curved dress has the scoop. The t-shirt dress gets an edgy upgrade with the Black Motivate Me Maxi Dress. This high low maxi dress has a deep scoop neckline to casually reveal a glimpse of bralette, with a curved hem and cap sleeves. We love this trendy maxi with chunky booties for casual nights out. This curved dress has the scoop. The t-shirt dress gets an edgy upgrade with the Navy Motivate Me Maxi Dress. This high low maxi dress has a deep scoop neckline to casually reveal a glimpse of bralette, with a curved hem and cap sleeves. We love this trendy maxi with chunky booties for casual nights out. This curved dress has the scoop. 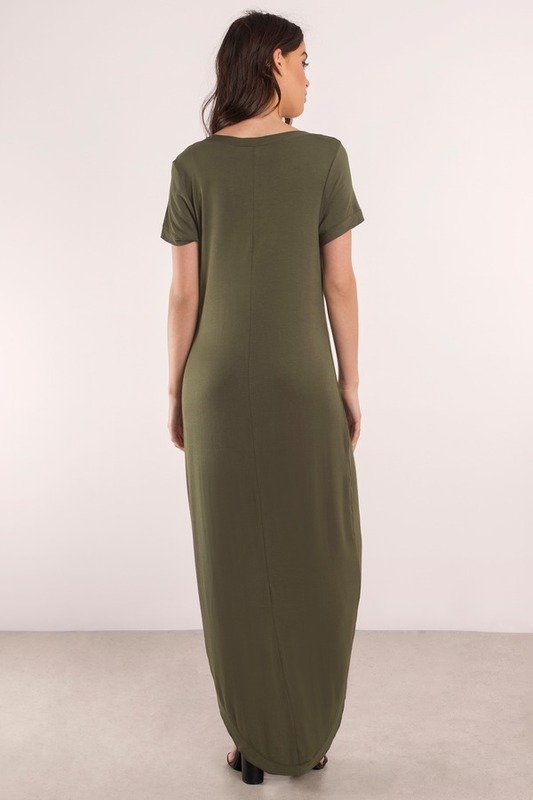 The t-shirt dress gets an edgy upgrade with the Olive Motivate Me Maxi Dress. This high low maxi dress has a deep scoop neckline to casually reveal a glimpse of bralette, with a curved hem and cap sleeves. We love this trendy maxi with chunky booties for casual nights out. Navy, Olive modeled on a size Small.